Well I guess today is talk like a pirate day. Shivery me timbers I have to wait until November for Stacey Rourke’s next Gryphon story. But alas mateys she has a short companion side kick story to tie us over. This adventure let us know who, what , when, where and how, Celeste’s sidekicks are doing in their day to day routine. 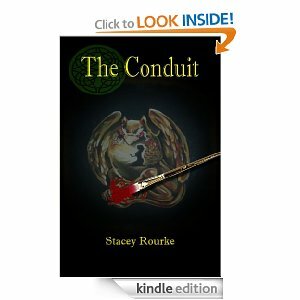 Their is a surprise ending for us too and we are all invited.If you have read Conduit and Embrace you will love Sidekick Chronicles Gryphon Novella. 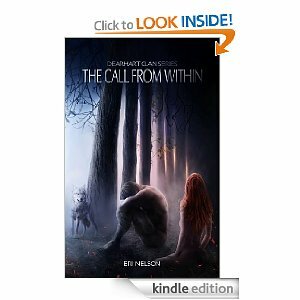 Download it today its only 99 cents and a fun quick read. 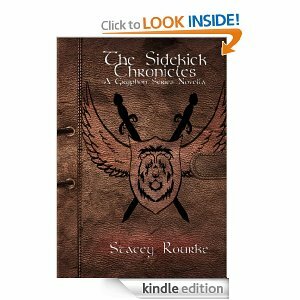 Now you can read about these sidekicks. Let’s talk sidekicks. I have many side kicks. Some folks consider me a leader. I always considered my self a support member but I guess I do like to build teams to accomplish a goal. When I have a team I assess their strengths and weakness’s. Once I know what folks can do well, I let them run with those gifts and ignore their weakness’s. Once I build the team I prefer to take a roll of cheerleader as goals are accomplished and let some one else take the stage. I take the lead when a ship is taking on water and fix the leak and move the ship forward. I do not like to let good ships sink. Or I jump abroad full speed ahead of a well running ship like Anchor Group Publishing. When I hired There for You Editing. Dear sweet Melissa Ringstad suggested I send my stories to Anchor Group. Best advice I received. Been smooth sailing ever since. Anchor Group with Stacey Rourke as captain and Melissa as her first mate is one well run ship. I am glad I was allowed to jump abroad. 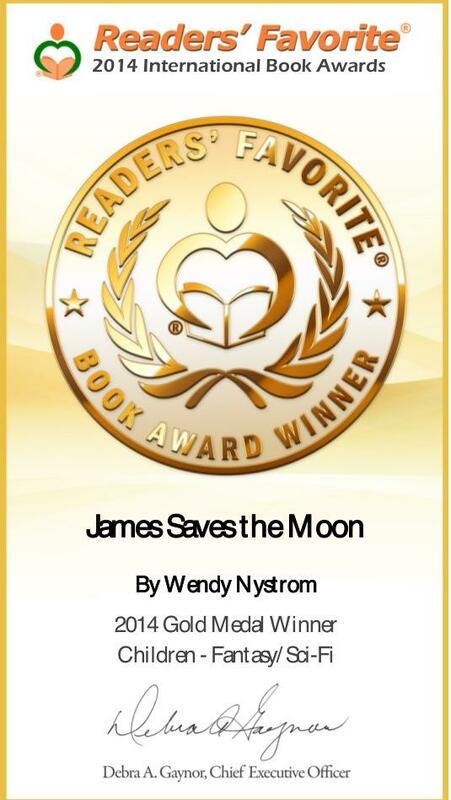 I also have been enjoying teaming up with three other kids authors. Cindy Springsteen, Jodi Stone and I are sailing along as a sidekick ship to Anchor Groups Big ship and have been building a promo crew called Lil Anchors. It has been so much fun and all of our crew have been spectacular. Big Thanks go out to the Lil Anchor Crew they are a fun bunch, creative and help promote our books. I prefer to stand in the back of the room and watch what was started or pushed forward and see the faces of success. I surround myself with people who are willing to move forward on a project. I am lucky so far I have not made to many enemies along the way. Mostly very good friends. pssst….. below are some pages where you can keep up on the latest. So many exciting things going on lately. In June my husband and I had a fabulous adventure in the Netherlands. So much to see and do there. I have signed on with Anchor Group Publishing. Really excited about this fun aggressive group. 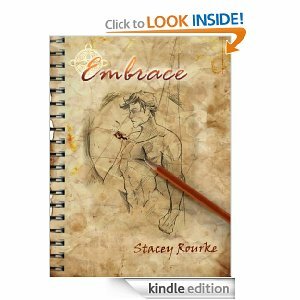 Stacey Rourke an accomplished author her self is steering this ship. I have read her two books Conduit and Embrace. I loved them good reads. Stacey has a great team and I am enjoying working with everyone. 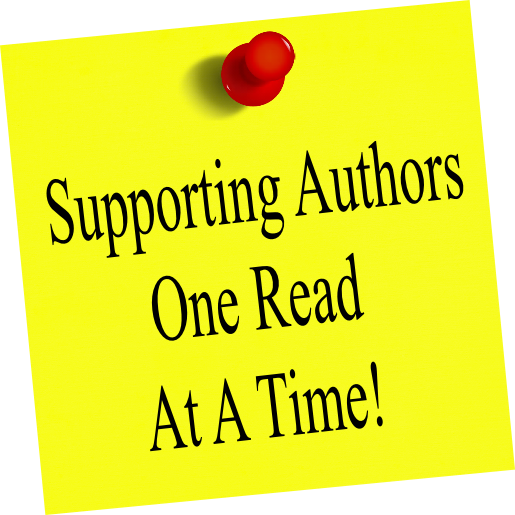 The authors I have met are talented, fun and full of ideas. 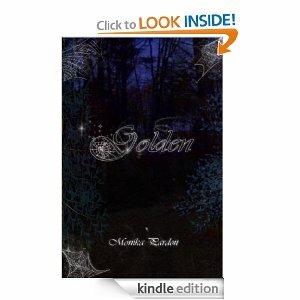 I have a short story coming out in October in Anchor Groups anthology Paranormal Gone Awry. 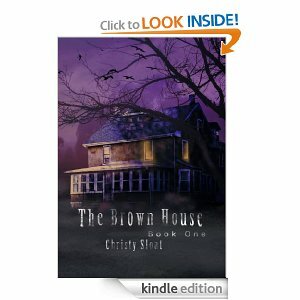 This is going to be a fun Halloween read for all ages. 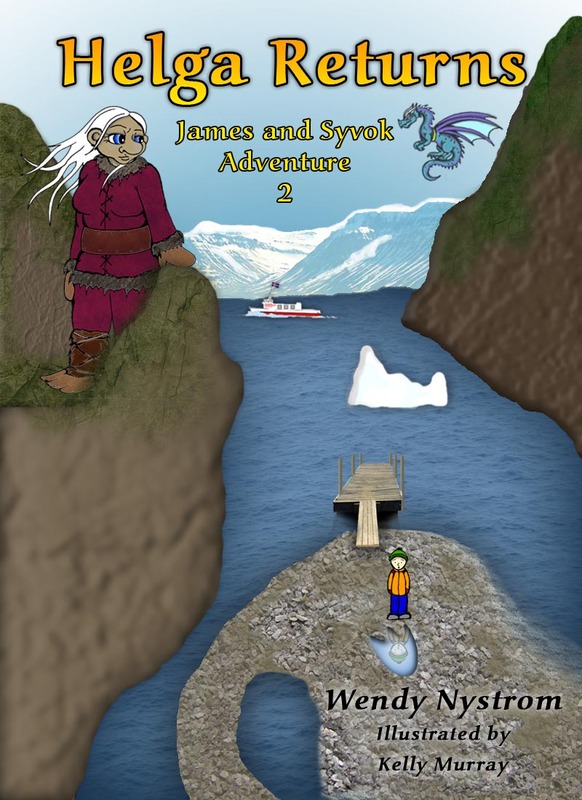 My kids books James and Syvok Adventure series: James Moon Adventure will return in January of 2013. 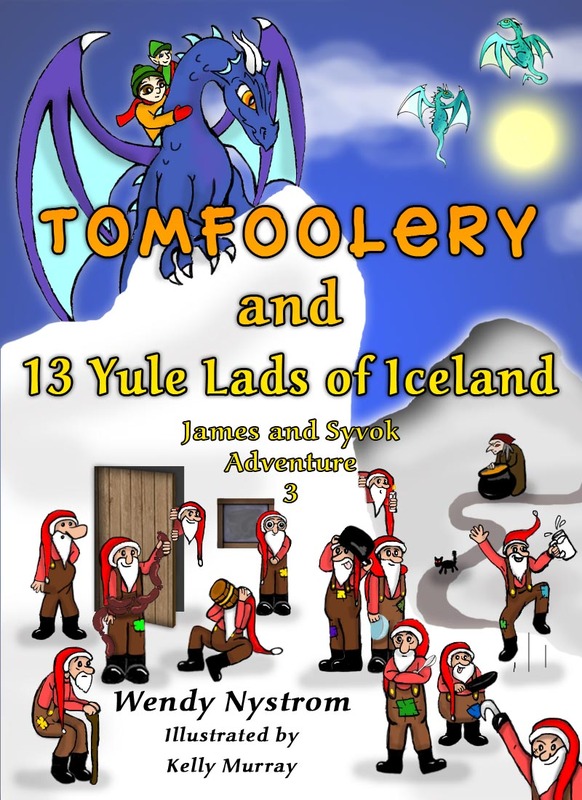 Helga Returns mid year and Tomfoolery and 13 Yule Lads of Iceland in December o 2013. 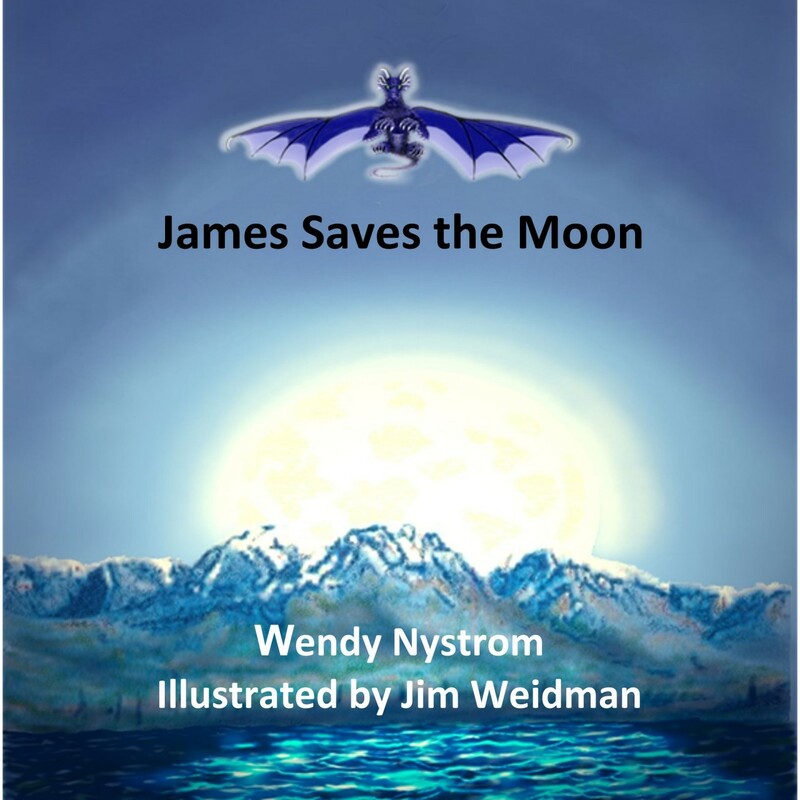 In the mean time I am working on 4th James and Syvok adventure and my novel the New Moon Brethren. Anchor Group has some really good books in their collection. Check out their blog 50% off special right now. My other great news is I have someone willing to help out be an administrator on my Facebook page and this blog. Please Welcome Amy. She is smart, pretty and a wonderful neighbor. Best part she is tech savvy. She will be reviewing books, talking about her adventures and helping me when she is available in between being a mom and her studies at the University. I also happy to be at the same publisher again with Jodi Stone. She is one of my favorite kids authors . We have been helping each other for over a year now and have a great time reading each others work and giving each other helpful advice.Check out her books for little girls. They will love them. Check out some of the covers on their facebook page.